As a result, NASA astronaut Serena Auñón-Chancellor is the only one on the station who has traditionally observed American Thanksgiving. German astronaut Alexander Gerst is getting the day off as well, even though the closest thing to Thanksgiving in Germany, a harvest festival known as Erntedankfest, is usually celebrated in September or October. And for the third crew member, Russia’s Sergey Prokopyev, it’s just another workday. 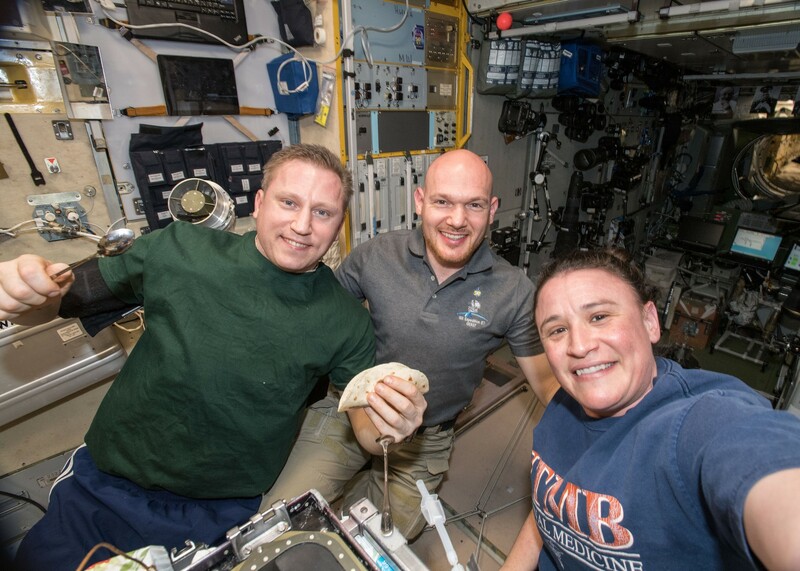 This entry was posted in GeekWire and tagged International Space Station, Space, Thanksgiving. Bookmark the permalink.